Finding the right fairway wood for your game can be complex. 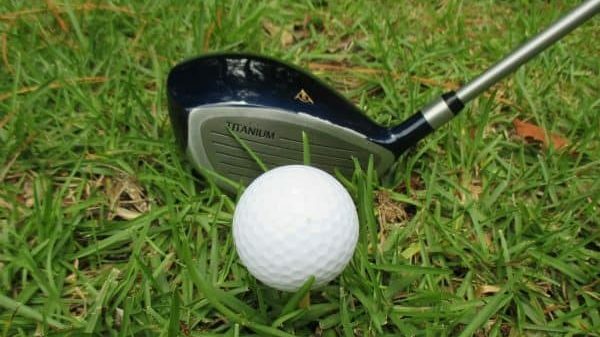 A great fairway wood, or fairway metal, is long off the tee and helps golfers find fairways when their drivers go astray. A great fairway wood also lets golfers hit high approach shots into greens on long par-4s and par-5s. Finding the perfect blend of high launch and an optimal spin rate is one of the hardest club fitting challenges for golfers in their bags. The course can require golfers to hit their fairway woods from the tee box on shorter par-4s or on holes with severe doglegs that make it ill-advised to hit a driver. Once a golfer has hit their tee shot, longer par-4 and par-5 holes may require golfers to hit their fairway metals into the greens. Fairway woods can also be useful around the greens from tight lies or on the green collars. Having a reliable fairway wood that is fit for your swing can help every aspect of your game and it is an important club to get right. 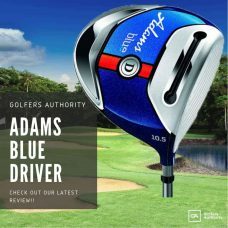 The best fairway wood for your game is entirely dependent on when you intend to use this club and when it can help you the most. Are you a player that struggles with your driver and needs help from the tee box? Do you hit your driver in the fairway but may need extra distance to help reach the longer holes at your local course? No matter what kind of golfer you are, there is a fairway wood that can be built for your swing. It is 2019 and golf clubs are more expensive than they have ever been. The latest fairway wood offerings from Callaway, TaylorMade, and others will cost golfers almost $300. Budget-friendly options are available and because there is not a premium set on hitting the ball as far as you can, great fairway woods can be found at a reduced price. No matter how much you plan to spend on your next fairway wood, your new club should be properly fit and be better than what is currently in your bag. Each fairway wood in your bag should share some common features. The loft of the club should match your swing speed and style to help you achieve the distances you want to hit. The head shape and center of gravity should produce the proper spin rates and create adequate forgiveness. The sole of your fairway should be built for when you are using this club the most. Once you have chosen your clubhead model and loft, pairing a shaft that improves your consistency and confidence is the final step. The loft of your fairway wood will have the most influence on how far the golf ball travels after impact. Depending on your swing speed, some lofts may not launch high enough and thus, fly shorter than higher lofter woods. Slower swing players may find that they can hit 18 degree 5 woods further than 15 degree 3 woods. These 5 woods can also be more versatile when coming from the fairways and rough. High swing speed players may find that lower spin options help them maximize distance from the tee and provide a flatter flight that helps them take advantage of par-5 holes. There is no one loft that is perfect for every golfer. However, between golfers, there is a perfect loft for everyone. Golf club head shapes can help inspire confidence and can aid golfers in aligning the club behind the golf ball. The engineering of the club head is more than cosmetic, the center of gravity within each club dictates how forgiving that particular club will be. The center of gravity also has the next largest impact on the golf ball spin rates beyond the loft of the club. The sole of each fairway wood is carved to help golfers hit the ball from a variety of lies including a short tee, the fairways, the rough, and even some bunkers with low-incline boarders. Some fairway woods like Cobra’s F8 and F9 offerings even have rails on their soles to help golfers with mishits through the turf. Depending on which fairway model and loft you choose, there will be several shaft options available. Many manufacturers offer custom-order shafts at no additional charge. Beyond these shafts, many golfers with choose to pay an upcharge to get specialized shafts that can help them play their best golf. When making your choice of a shaft, you should consider length, weight, flex and the bend profile that matches your fairway metal. The typical length of fairway wood shafts are 43 inches for 3 woods, 42.5 inches for 4 woods, 42 inches for 5 woods, and 41.5 inches for 7 woods. The weights of these shafts begin around 50 grams and end above 90 grams. The most common flexes of shafts are senior, regular, stiff, and extra-stiff. Other flexes may include junior, amateur, ladies, and tour-extra-flex. As a guide, slower swing players will favor lighter shafts that are softer in flex than the heavier, stiffer shafts of higher swing speed golfers. The shaft in your fairway wood can influence launch angles, spin rates, and impact location. The perfect marriage of golfer, clubhead, and shaft will produce optimal ball speeds, longer carry distances, and more consistent golf shots. Testing different shafts once you have selected your fairway model is the best way to tell which helps you hit your best shots. Club fitting is a convoluted problem because every golfer’s swing is different. Searching for the right fairway wood can leave golfers with many questions. We have provided answers for some of the most common questions golfers have when purchasing new fairway metals. A: Although drivers and fairway woods can have similar lofts, they differ in their clubface and sole design. A golf driver is designed with a clubface ideal for striking a golf ball from a tee. Fairway woods are created so they help golfers hit the ball from a tee or from the ground. These differences cause drivers to be longer and more forgiving from the tee box but difficult to launch from the fairways and rough. Fairway metals are usually shorter in length and can provide help for golfers struggling to make solid contact through their swings. A: 3 woods and 5 woods differ in their lofts and lengths. 3 woods typically come in lofts between 13 and 16 degrees. 5 wood lofts fall between 17 and 19 degrees. The shaft of a 5 wood is often one-inch shorter than the 3 wood shaft. These differences can affect playability between these two clubs. For high swing speed players 3 woods may fly further than 5 woods. Slower swing players may find they hit 5 woods further despite the higher lofts. Golfers may use either a 3 wood, a 5 wood, or both in their golf bags. Testing both clubs will give you the best idea of what combination is right for your bag. A: Fairway woods and hybrids differ in their clubhead size, shape, and centers of gravity. Even in the same loft, the performance of a fairway wood and a hybrid may be vastly different. 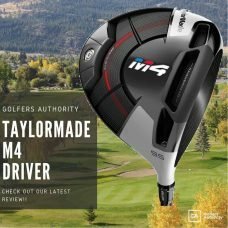 Fairway woods are designed with larger clubheads and promote higher launching, higher spinning shots. Hybrid golf clubs are designed to replace long irons. These clubs launch lower than fairway metals and spin less. A: Hitting a fairway wood can be the most difficult shot in golf to complete consistently. When attempting this shot, visualize sweeping the sole of your golf club along the top of the turf. Taking a divot is neither good nor bad and can vary among players. Striking the ball in the middle of the clubface requires a neutral angle of attack. To accomplish this angle, play the golf ball forward of center and allow the golf club to swing freely beyond the ball. Golfers beginning to search for their next fairway wood should begin with analyzing their own golf games. Players looking for a driver replacement on tight courses will favor lower lofted, lower spinning models. Players looking to take advantage of par-5s and approach tough greens will benefit from a higher launching, more forgiving wood. 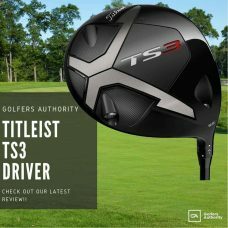 Your new fairway wood should go the right distance, let you hit great shots from the tee box and the turf, and improve your consistency in this difficult-to-hit club. 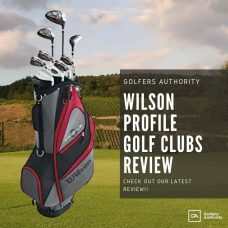 If you are looking for more info on what fairway woods can offer and which models are best for you, check out our reviews and lists of best fairway woods for each player profile. Thanks for reading and happy testing!